Credit card debt is one of the biggest challenges to overcome for a large percentage of society today. As a young adult, you only need to apply for college to be bombarded with credit card offers left and right. Fast forward a few years, a few mistakes and a few weekends away or Spring Break trips and you realize not only do you have the debt of your student loans but you now also have $5000-$10,000 in miscellaneous debt that you suddenly feel you have nothing to show for. 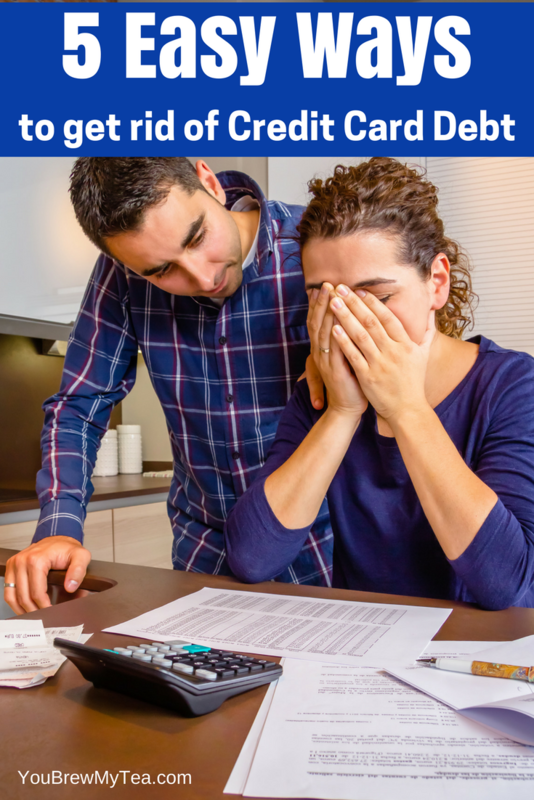 And now is the time to make changes and use these 5 Easy Ways To Get Rid Of Credit Card Debt. Start small and aim big: The old adage is true. Start small and aim big. Start with your smallest debt and pay it off first. While in some cases it may not be your best choice in regards to interest rates it can bring the satisfaction of accomplishing something that many of us need to continue with creating the habit of ridding ourselves of debt. Stop making unnecessary purchases: We all have something we can cut out of our budget. Something as small as giving up the already made coffee creamers or even soft drinks in your home can save a considerable amount of money over the course of the year. Small changes can lead to big savings. Trust me, even if you think you have eliminated everything already, take another look at your spending habits and you will find something you can eliminate. Whether it be cigarettes, alcohol, soft drinks, breakfast or lunch out, changes to cable service, growing your own food or making your own laundry detergent you can manage savings. If you are looking for some more ideas, we have a few in our posts for best ways to save money this month as well as our tips for ways to save money at the grocery store. Go to financial counseling: Whether you find a free class online, a class offered by a local church or spend the money to get help from a local professional financial this is an investment that will reward you in the long run. When you can’t see a way out of the debt these classes can direct you to things you didn’t know about before. I can’t recommend Dave Ramsey’s Total Money Makeover enough to get you started. There are tons of amazing tips throughout the book and his program that will help you begin your journey to getting rid of credit card debt. Things like refinancing mortgages at lower rates may be recommended. When you need quick cash, a reverse home loan can help you. By talking to a lender and signing a reverse mortgage agreement, you can receive the money you need without risking your home or other assets. However, even though you will retain ownership of your home, reverse mortgage pros and cons must all be considered. For example, you can use reverse loan money to pay for any expenses you have, but you will eventually be required to pay back the loan with interest when you move out of your home. Those interest rates can be extremely high, and your family will be required to pay the loan balance in order to maintain possession of the home if you die without repaying the full amount. You may also be familiar with the ideas of cutting up credit cards and requesting lower interest rates or something like evaluating if you could do some part-time work from home or take on a weekend job for a few months that would provide income to pay off smaller debts. It can be hard for most to get another job. Especially if they are already working multiple jobs. That’s where some odd side hustles come in handy. We give tips about the best items to sell on Craigslist, how to make money on Facebook, and even some legitimate online jobs anyone can do. Consider debt consolidation: While many times this is not a good option, there are instances where you can eliminate hundreds or thousands of dollars in interest by consolidating credit cards together so you are paying to only one company instead of several. 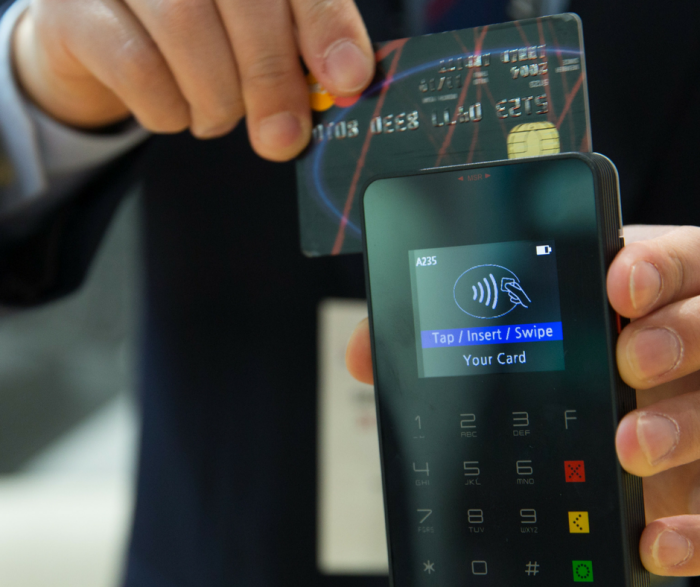 Ideally finding the credit card with the lowest interest rate and requesting a line of credit that would allow you to pay off other credit cards would free money in your budget that would then make up the higher payment on one single card and allow you to pay more toward the one large remaining balance. Negotiate for settlements on debts: As simple as picking up the phone and asking customer service for a lower interest rate or making an offer to pay 60%-70% of the balance in one lump sum if the remainder would be “forgiven” you could easily extinguish your debt in one payment. This typically works best if you have maintained a good record of timely payments and are able to pay a minimum of 60% of the balance at once. Each company is different and some will require a much higher percentage paid. The phone call is worth your time and now during prime tax refund time (just keep an eye on your refund status) you may very well have enough to make a considerable offer toward a settlement. **Note that the amount forgiven and not paid by you will be considered income on your next year’s tax return so do consider if the amount is enough to be worth it or would be negligible after taxes are considered. It may also be considered a settlement on your credit report which could easily ding your score slightly. Weigh all options with this choice before proceeding. I am not a financial counselor. I am not an accountant. I do not pretend to have all of the answers. What I do have is years of experience paying off my own debt. I went through bankruptcy during my first marriage and have suffered even more staggering financial issues since that pulled me to a place where I could no longer manage and had to find ways to make ends meet. After struggling and not succeeding I learned that there are truly many ways to lower your debt and begin repairing your credit and your financial state. I hope to encourage you that there is no debt too large to handle and that in many cases, bankruptcy is not the only choice. These are great tips! Thank you. How do I find a financial counselor? Also, there are so many credit card debt consolidation advertisements….how do I know what is valid and what is a scam. I recommend seeking out someone in your local community rather than online. Financial advisor’s like Edward Jones, or local CPA’s can direct you to someone who can help you.